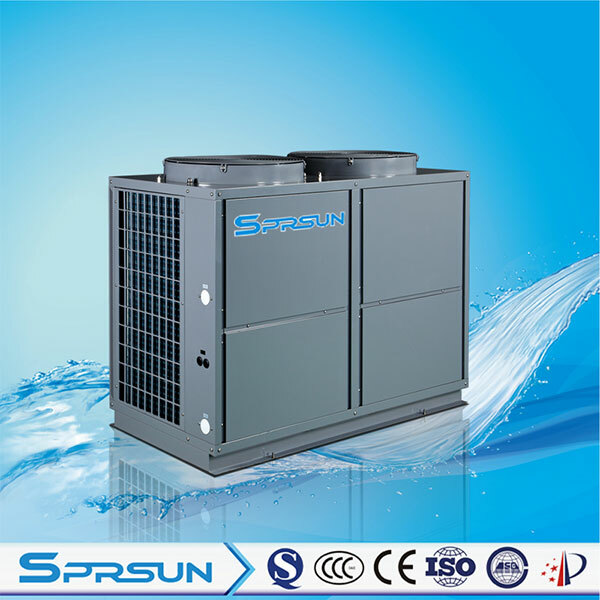 Since air source heat pumps enter the clean energy market, they have been favored by many users due to their energy saving, high efficiency, safety and environmental protection. Air to water heat pumps are widely used in schools, hospitals, hotels and other fields, especially in spa centers. Some spa centers used coal-fired boilers as heating equipment before. But later, because of the poor use effect and high operating cost, spa operators chose to dismantle boilers and use air source heat pumps as a new generation of hot water supply equipment. Air to water heat pumps are very safe, which can largely avoid explosions, leakage and other accidents, so that guests can safely enjoy their bath. An air to water heat pump heats a spa by absorbing free energy in the air. It does not use natural gas or coal gas. There will be no pollutive gas or substance produced in the whole process, which is very helpful to environmental protection. Although air source heat pumps are also driven by electric power, they do not directly use electricity to produce thermal energy. Therefore, there are no electric heating elements in the water tank, which effectively prevents the occurrence of electric shock accidents. Air to water heat pumps are green and environment-friendly. With the vigorous implementation of the environment protection policy, many commercial places have been strictly prohibited from using coal-fired boilers. Economic benefits are also a selling point of air source heat pumps. Compared with traditional water heaters, Air to water heat pumps have high energy efficiency and obvious power saving effect. According to statistics, using air source heat pumps for heating in one year can save hundreds of thousands of expenses. Air source hot water heat pump products are not only suitable for industries like spa centers, but also for places with both hot water and heating needs. We strongly believe that air source heat pumps as a type of clean energy products will win more and more recognition in the market.